During the two-day initiative, hedge-trimming, hoe-wielding, flower-planting teams of volunteers will swarm over a staggering 125 gardens in Dublin, Cork and Galway. No job is too big or too small for the 300 plus volunteers who will be taking part in the gardening blitz. Every weed pulled, flower planted and gate painted means a lot to older people who are very proud of their gardens, but often struggle to keep them maintained. 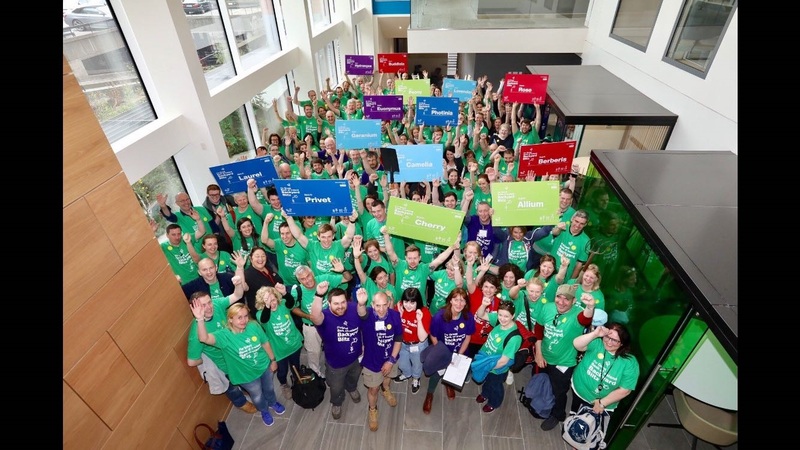 Bank of Ireland is delighted that Age Action is one of their three flagship charity partners and the Backyard Blitz is one of a programme of initiatives on which the bank will support Age Action. The wider programme combines volunteering, fundraising and financial support, as well as providing teaching on the basics of the internet and digital world through Tea & Teach sessions. Speaking on the initiative, Backyard Blitz Ambassador Alan Brogan said, “I am delighted to be the Ambassador for the Great Bank of Ireland Backyard Blitz initiative. Over the two days, there will be some great work done to help older people in the community who may not be able to manage the upkeep of their gardens themselves. Commenting on Backyard Blitz, Justin Moran, Age Action said; “We are delighted to be teaming up with Bank of Ireland. The demand from our members and clients has been unbelievable.